Aston Martin released their Volante Vision Flying Car Concept at the Farnborough Airshow in the UK on July 17th. Among many other aviation announcements that were shared yesterday, this one was particularly important, as the Volante Vision Concept advances the previous SuperVolant Pegasus concept. It’s estimated that this concept wouldn’t be flying until the middle of the next decade, and wouldn’t be cheap, either. At current exchange rates, such an aircraft would cost between $9-$10 million dollars. The concept features two propulsors at the front of the aircraft, with one larger one at the rear. The concept is slated to be able to operate autonomously, but if an operator chooses to, they may fly the aircraft from the front seat using projected flight operation information on the windscreen of the aircraft. There are two more seats behind the pilot’s seat that fan outward for additional legroom that bring the total capacity of the aircraft to 3 persons. Why it’s important: Aston Martin is another carmaker that has joined the flying car industry, among the ranks of Porsche, Audi, and Geely Holdings. Such a large interest in this emerging market from the likes of globally-recognized automakers with huge resource pools will advance the development of flying cars faster than predicted. Stay tuned for more updates from Farnborough and EAA AirVenture coming next week. Learn more about the Aston Martin Volante Vision here. Watch videos of the Volante here. Audi and other European car makers, including Italian design firm Italdesign, are in a battle for flying taxi supremacy against Uber. 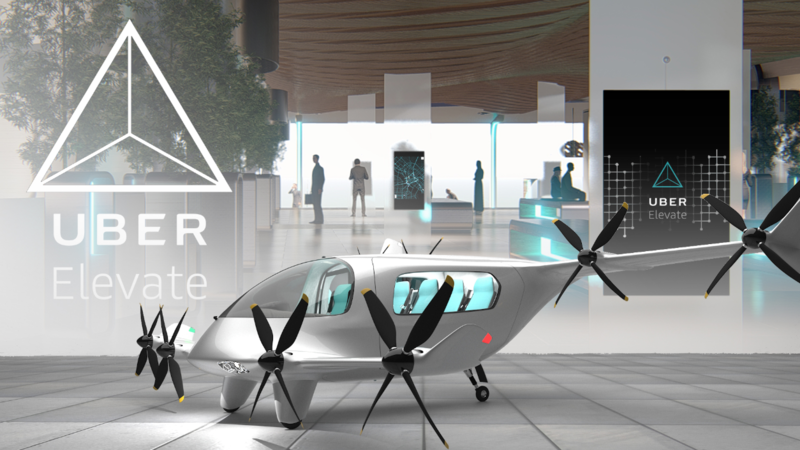 They announced in May the creation of the Urban Air Mobility division – a dedicated division in Ingolstadt tasked with testing flying taxis. Boeing has countered this week by announcing the development of the Boeing Aerospace & Autonomy Center in Cambridge, Massachusetts. 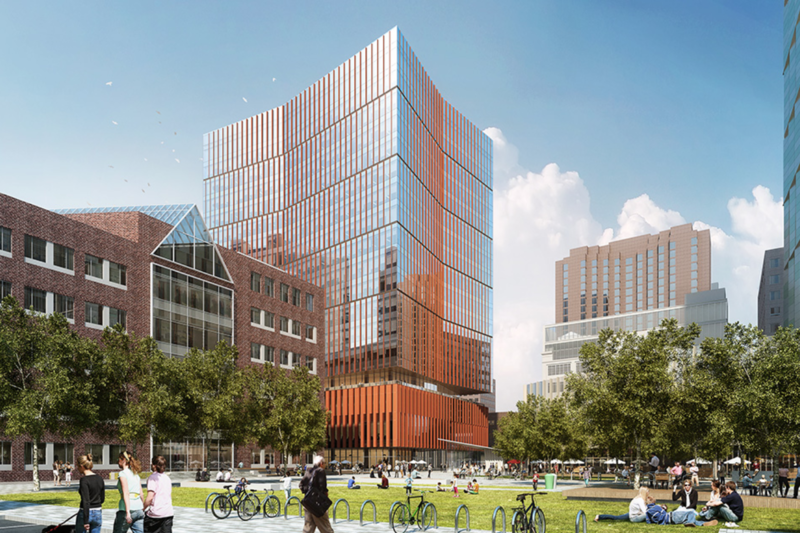 The center will be located on the grounds of MIT’s mixed-use district. 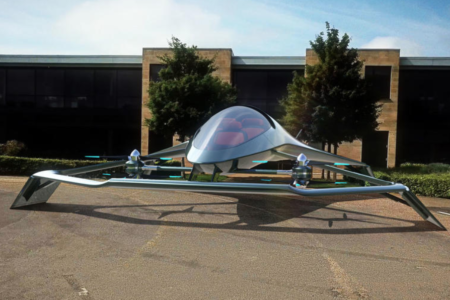 The center’s mission is to design, build, and test autonomous aircraft, and work will be conducted by both Boeing employees and those from Aurora Flight Sciences – an MIT spinout. 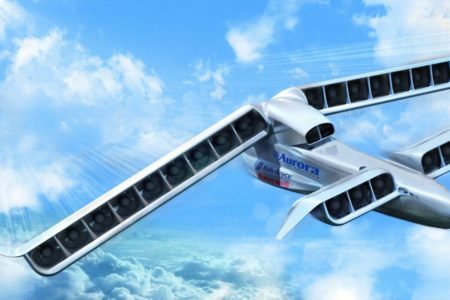 Aurora Flight Sciences was purchased by Boeing in November of 2017, and is already specializing in autonomous aircraft design. Aurora uses algorithmic design processes to optimize for the best result. 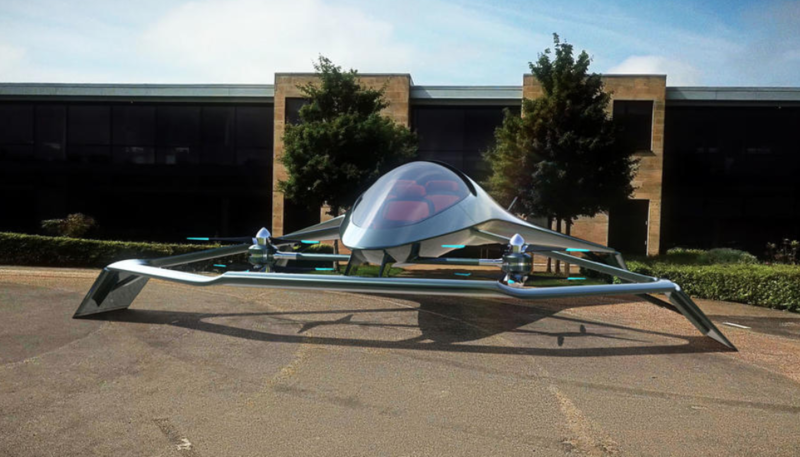 Boeing did not provide any details on its eVTOL projects, while Aurora, on the other hand, is already developing several vertical take-off and landing (VTOL) projects, including their eVTOL concept and LightningStrike XV-24A. Why it’s important: Continued investment by large aerospace firms in the infrastructure necessary to design, build, and test flying taxis is critical for the sustaining growth of the industry. The location for Boeing and Aurora Flight Science’s new research center at MIT is fitting – Aurora Flight Sciences spun out of students at MIT. Additionally, an investment in developing commercial real estate is a large expense, indicating the confidence with which Boeing and Aurora Flight Sciences have for moving forward in the industry. 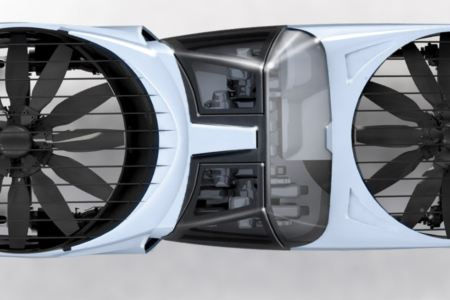 An Urban Aeronautics Press Release was issued yesterday announcing the launch of their new website, www.metro-Skyways.com in addition to announcing the launch of full-scale development for the CityHawk hybrid-power, eVTOL flying car. 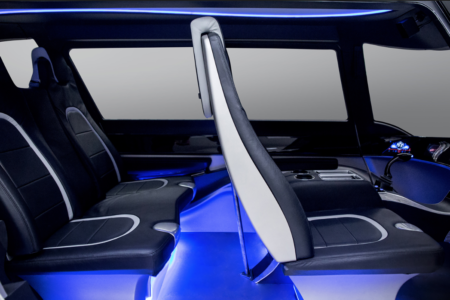 The vehicle is being developed at Urban’s subsidiary, Metro Skyways Ltd, with first manned flights in 2021 to 2022. After these flights, FAA certification will follow. 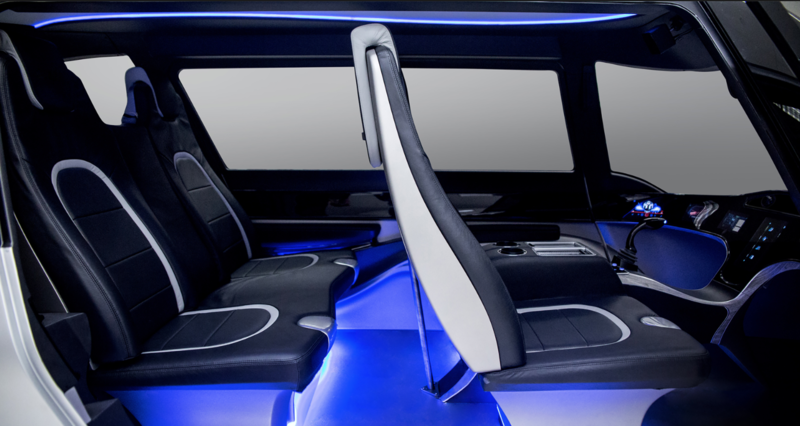 CityHawk is an equivalent to a ground taxi with its large 6 seat cabin. Its compact, wingless fuselage and “six-degrees-of-freedom-uncoupled” flight modes deliver true, unencumbered, three-dimensional access and mobility. This locates the CityHawk at the forefront of eVTOL flight technologies. The 2000lb Cormorant has so far completed 250 flights validating the technology that is integral to both Cormorant and CityHawk. 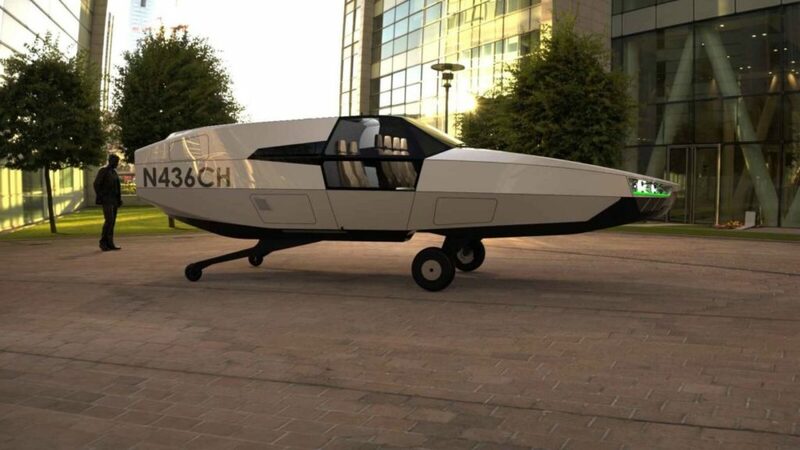 CityHawk’s design is identical to the Cormorant’s configuration, but it will be equipped with two engines in order to conform with the FAA’s commercial certification requirements. This safety feature is in addition to CityHawk’s ability to deploy a ballistic parachute in the event of a catastrophic failure of any kind. That parachute could come from a company like BRS Aerospace. CityHawk is designed to meet current FAA requirements for twin-engine helicopters (FAR 27). Its main advantage over helicopters is its car-sized dimensions, resulting from its wingless, rotorless design, combined with its payload of up six occupants. Why it’s important: The CityHawk was merely a concept car before this initial launch. Now, with additional information on the aircraft and the targeted performance values, investors and industry members alike will most likely turn more attention to the CityHawk’s development as Cormorant proof of concept flights start to taper off to give way to full time production of the first CityHawk prototype. 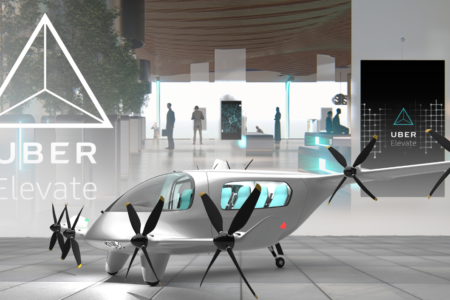 Five or six “shortlisted” eVTOL companies that have secured less than $5 million in funding will be invited to the Revolution.Aero conference October 1 and 2 at the Grand Hyatt, San Francisco, according to the conference’s website. “They will then receive comments from the judges and be voted for by the audience” stated the conference schedule – indicating that the audience will have a say in the future of one of the startup ventures. The website did not provide any information in terms of the potential size of such investments, but considering many confirmed attendees and the interest surrounding the event, investments would most likely be game-changing for the companies vying for the top slot in the pitch component of Revolution.Aero. Judging will be conducted by a panel including Pau Signh of JetBlue Technology Ventures and Chris Abshire, or Toyota AI Ventures. Why it’s important: There are already a number of established eVTOL and flying taxi manufacturing companies in the industry (almost 80) but there are even more small startups that have drive and innovative technologies and processes that should be rewarded. The Revolution.Aero conference is giving them the chance to do just that – show off why they should be among the ranks of giants in the aerospace industry and push the norm of design, testing, and production past what the standard has been for the last 50 years. Learn more about Revolution.Aero here. Have you heard your podcast? Check out our first interview of Joseph Segura-Conn, CTO of Hoversurf at TransportUP’s podcast page. 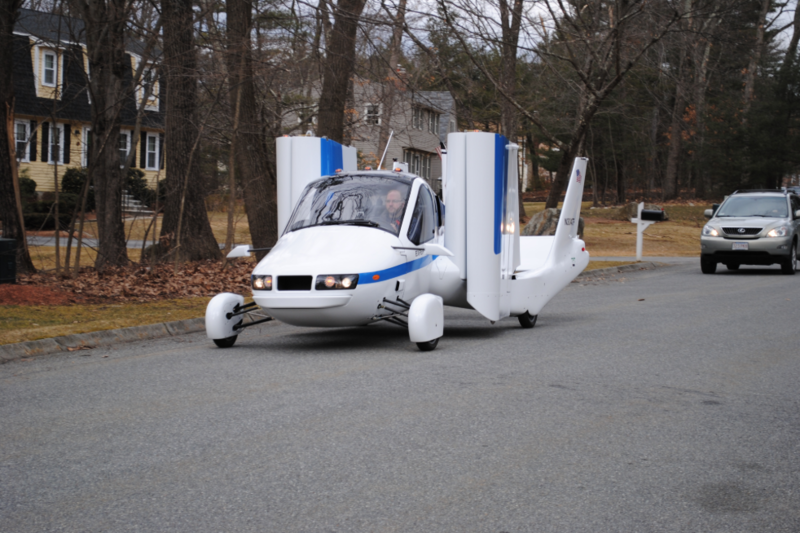 Terrafugia is bringing urban air mobility to the Gate City at Nashua airport. Terrafugia is currently in the process of leasing hangar space at 101 Perimeter Road. The Transition is scheduled to begin production in early 2019, and has a target price around that of a high-end luxury vehicle. The Nashua Airport Authority has already granted Terrafugia permission to operate its vehicles at the municipal airport. “We are in the middle of the legal discussion about the content of the lease, but we should be in there Sept. 1,” Jaran added. Jaran outlined the search process:Terrafugia’s chief pilot searched all airports within a 50-mile radius of the company’s Woburn, MA headquarters, and eventually settled on about three. The hangar in Nashua had the most available space, and the airport’s management was eager to have them on board. Terrafugia’s Nashua workforce will start off with about six to 10 employees consisting of mechanics and pilots, and will slowly increase. Jaran envisions Nashua eventually becoming Terrafugia’s maintenance and pilot training base. “We are rapidly expanding,” said Jaran. Terrafugia has grown from 19 employees last year to over 200 today. “We are really going to be the first flying car to achieve the goal of production. We are looking forward to a bright future in the vertical lift and urban air mobility ­— a very new and very dynamic industry,” said Jaran. Jaran also hinted that the company is working on development of a larger eVTOL aircraft (possibly dubbed the TF-X), but that its development timeline was further away than the full scale production of the Transition. 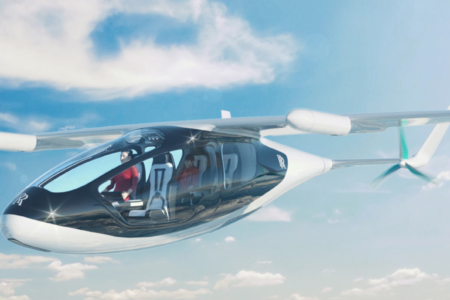 Why it’s important: Terrafugia is committing its manufacturing and flight testing efforts to the Nashua airport, and by extension will be committing themselves to working with local regulations in addition to the FAA during certifying their Transition flying car. In general, aircraft are only certified under the Federal Aviation Administration, but because the Transition is also intended to be road-legal, it must also be certified under the Department of Transportation as well. Learn more about the Transition here. Marc Piette is the founder of a two year old autonomous aviation startup named Xwing, which has kept a low profile until today – they’ve been busy developing a software package for general aviation aircraft, helicopters, and eVTOLs that automates the flying process. Xwing announced Tuesday that raised $4 million in a seed round. Investors included Eniac Ventures, Array Ventures, and John and Patrick Collison, Stripe founders. Nat Friedman (Xamarin), Microsoft, and GitHub, also invested. The additional funding will advance the Xwing’s resources in aerospace engineering and software development. Xwing currently has around a dozen employees – and many of which have substantial experience in the aerospace industry, working at companies such as Agusta Westland. Piette sees several limiting factors in small passenger aircraft: the skill level and price required to learn how to operate an airplane outweighs the benefits. Light general aviation aircraft sales number in the thousands per year, while sales of cars number in the tens of millions. Xwing is also poised effectively to apply its solutions to many different platforms – their near plug and play compatibility for their software stack will enable hundreds of general aviation aircraft, helicopters, and flying cars and taxis to be autonomously operated. Similar to an active monitoring automotive system, the Xwing Autonomy Flight Management System (AFMS) system continuously analyzes the surrounding environment and makes changes to flight path if conflicts are detected on top of flying a predefined route. Xwing stated that the AFMS will integrate with air traffic control, create flight plans to navigate through airspace, monitor aircraft systems, and more. Xwing is currently in discussion with a number of large, unnamed aircraft manufacturers that are considering testing Xwing’s AFMS in their airplanes. Why it’s important: Xwing is the first company to focus solely on the automated flight segment exclusively – and is benefiting from the smaller scope and intense direction of their product. While many eVTOLs are being designed to be autonomously operated, Xwing’s solution bridges the gap between piloted and non-piloted systems much more cost effectively and quicker than developing an entire new flight management and guidance system. Due to technological advances that allow for more streamlined designing and prototyping of complex aerospace systems, investments are being driven more and more frequently in larger amounts to support the rapid development of new innovative technologies. 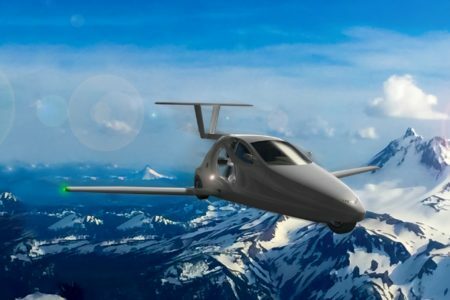 Among the many aerospace startups being invested in, flying cars have gained a large amount of traction. An article published in The Verge detailed how Google co-Founder Larry Page owns not one, but three flying car companies. The flow of capitol is indicative of even greater investor sentiment and confidence than was present in the 1990’s – but since the majority of new aerospace companies are privately held and youthful, it’s hard to predict with much certainty the long-term financial performance of the industry. Visionaries like Page have the means to support multiple aerospace start ups regardless of external funding or approval – the only hindrance from progress being their own decision to stop work. However, given the increasingly competitive and filled flying car industry, all signs hint at ramping up development and testing to deploy first. Page’s lesser-known flying car company, Opener, made a huge splash as video of the Opener BlackFly eVTOL was released to the public for the first time. Why it’s important: While general public approval is helpful for implementation of aerospace systems at scale, investor sentiment is equally as critical during periods of development of complex technological systems. All indications at the moment point towards positive sentiment and continued investment in the flying car arena. 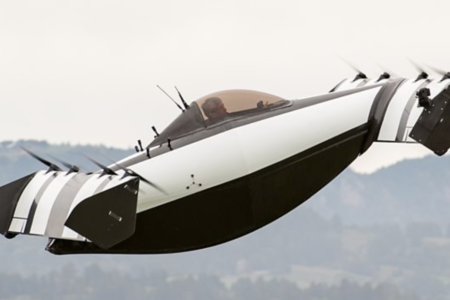 The Samson Sky Switchblade, one of the world’s first flying cars, will officially be unveiled this week during the EAA AirVenture 2018 airshow in Oshkosh, Wisconsin. The three-wheeled vehicle is federally classified as a motorcycle. Sam Bousfield, the founder of Samson Sky, the company that produces the switchblade, explained that its speed capabilities are not just limited to the ground, but extend to the air as well. According to Bousfield, the Switchblade can reach more than 190 mph in the air, with an average cruise speed of 160 mph. On the ground, it can reach more than 100 mph. The target price of the Switchblade will be near $140,000, Bousfield said. 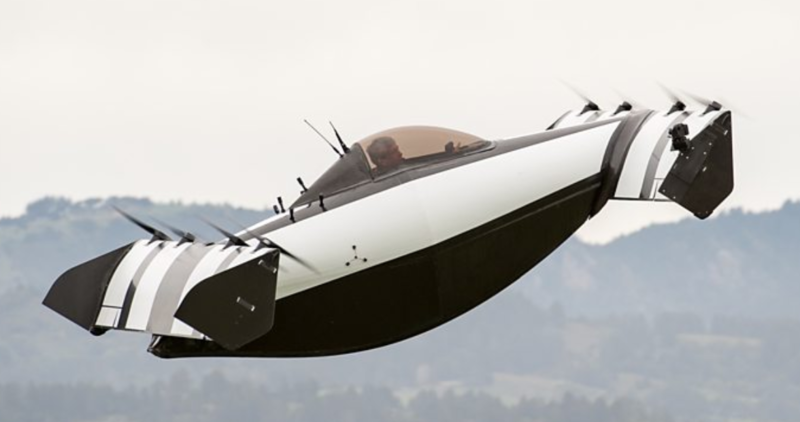 Why it’s important: The Samson Sky Switchblade is one of a few flying cars being unveiled at EAA AirVenture 2018. Others include the WorkHorse SureFly VTOL. 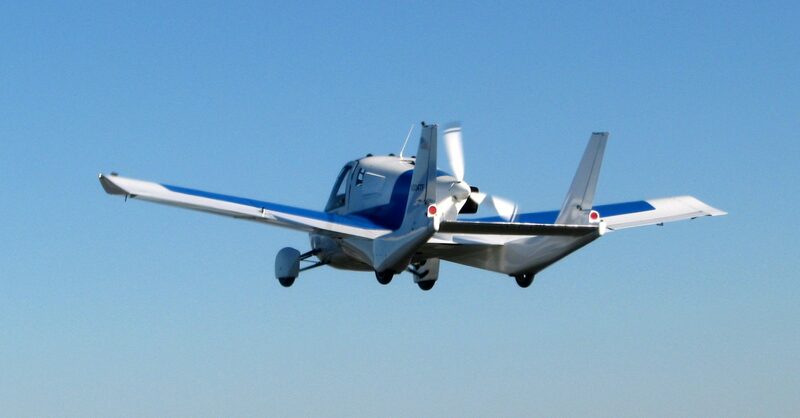 Growing public awareness towards these aircraft is bound to provide the necessary validation for many skeptics that the concept of a flying car works – and that there are ways to scale the industry – including methods like ride sharing that Uber is working on – that adapt the cost to being tractable for the average consumer. Learn more about the Switchblade here. 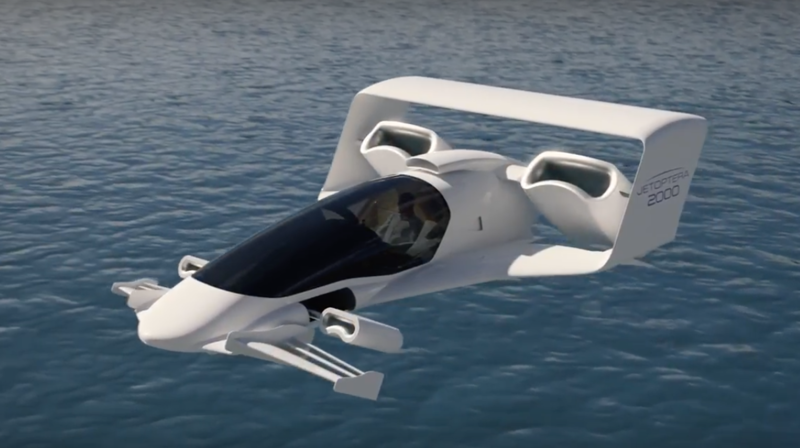 While much fanfare has accompanied the unveiling of the Bell Air Taxi in the past months, hardly any insight has been provided into the technical design process or details of the air taxi. Bell is a partner in the Uber Elevate initiative, who is targeting a 2023 launch. Accordingly, Bell needs to have their air taxi ready for testing in two years. Why it’s important: Bell is a leader in the vertical flight industry, but has kept most of the developments of their Air Taxi under wraps. The only public reveal to date is of their proposed cabin concept, which drew a large amount of attention. 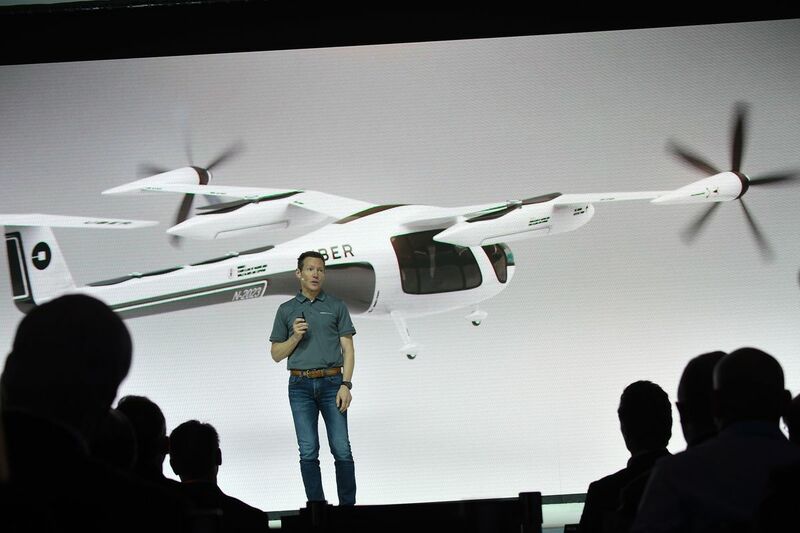 If the Uber Elevate goal of 2023 is to be met, expect Bell unveiling their Air Taxi by 2020, at the latest – the quantity of flight testing required to certify and commercially implement these air taxis in urban areas across the world is almost as large a task as successfully designing and manufacturing them. Learn more about the Bell Air Taxi here. Woburn, MA based Terrafugia announced in a press release today that they would manufacture the first Transition Flying Car that will be sold to customers in 2019, and that the flying car would include new features that have not been previously disclosed by the company. These features will all be certifiable under both the FAA (Federal Aviation Administration) and NHTSA (National Highway and Traffic Safety Administration) standards to ensure safety in flight and on the ground. Why it’s important: While Terrafugia has announced and targeted earlier dates for deployment of their product in the past, this announcement comes ahead of EAA Airventure and other high-profile events that provide showcasing opportunities for new products. Terrafugia’s backing from Geely Holdings also should provide more emphasis on delivering on their 2019 target. Learn more about the Terrafugia Transition here. Rolls-Royce has designed a propulsion system for an eVTOL that they claim could be in-service in under 10 years. 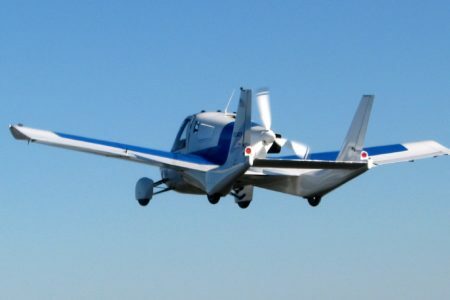 The British company stated that it created a design for an “electric vertical take-off and landing” vehicle. Such a vehicle could carry 4 or 5 passengers. The vehicle could travel at 250 mph (402 km/h) for around 500 miles, Rolls-Royce said. Rolls is joining an ever-growing group of eVTOL manufacturers in an industry that continues to heat up. Rolls said their initial concept propulsion system utilizes M250 gas turbine technology to generate electricity that will power six electric propulsors. These propulsors are also designed to have a low noise level, and the M250 gas turbine has logged more than 250 million flight hours across the entire fleet. Such an eVTOL has wings that can rotate 90 degrees to facilitate vertical takeoff and landing, while also functioning like a conventional aircraft in forward flight. “We believe that given the work we are doing today to develop hybrid electric propulsion capabilities, this model could be available by the early to mid 2020s, provided that a viable commercial model for its introduction can be created,” Rolls said. Rolls-Royce is currently seeking out an airframe partner for their propulsion system in order to complete further refinements and integrate the system into a viable aircraft. Why it’s important: Rolls-Royce is firmly established as one of the heaviest hitters of the aerospace propulsion industry, so their announcement to enter the eVTOL industry is not a complete surprise – more attention will be drawn to the firm when they partner with an airframe maker. Most likely, this search is already under way. 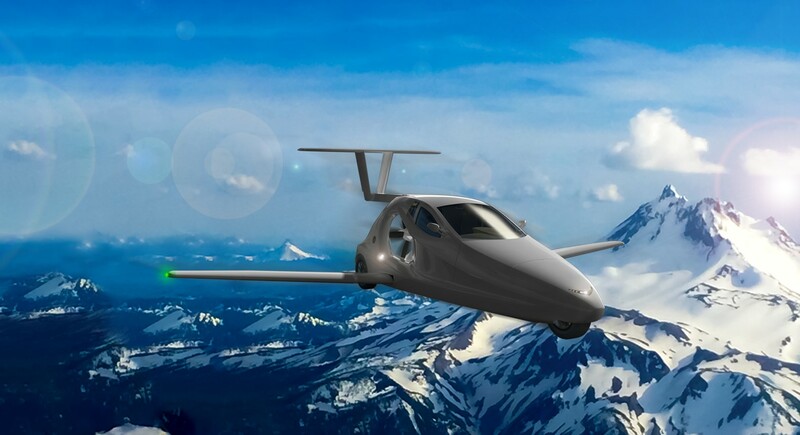 Edmonds, WA based Jetoptera has completed testing for its “fluidic propulsion system” and followed up this technical progress by issuing a second round of equity for $1.5 Million. 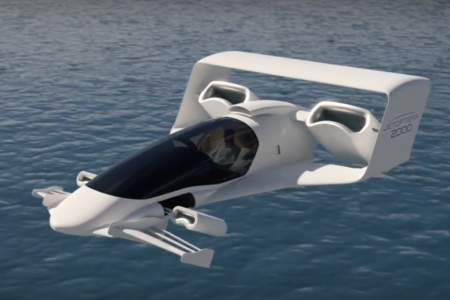 Jetoptera’s J2000 VTOL will be powered by the fluidic propulsion system. The aircraft is expected to cruise at 200mph, have a range of 200 miles and a maximum take-off weight of 2000lbs. The propulsion system was tested on glider prototypes to validate a proof-of-concept design before moving on to the full scale J2000 prototype. Jetoptera claims that fluidic propulsion has greater efficiency than vector-thrust based propulsion systems. Fluidic propulsion is claimed to be more compact than vectored thrust with the same efficiency as a turbofan. After completion of the test flight, Jetoptera issued their second round of equity for $1.5 million, which matches their initial offering in 2017 for the same amount. 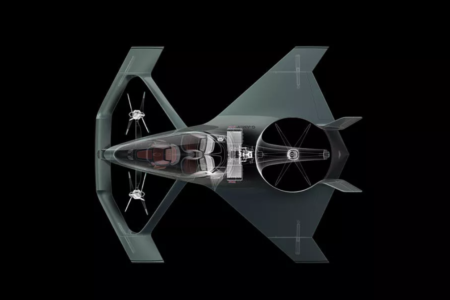 Why it’s important: A growing momentum of physical testing in the VTOL industry is allowing for more publicity, and investment, to flow to a large number of smaller companies that are innovating on classical aerospace engineering design decisions to produce the next generation of aircraft. Stay tuned to Jetoptera’s fundraising progress, and to the integration of their fluidic propulsion system into the J2000 prototype. Learn more about the J2000 here. 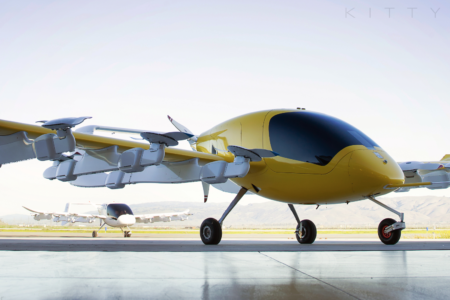 Kitty Hawk and Joby Aviation have received nearly $2m from the Defense Innovation Unit Experimental (DIUx). DIUx is a Pentagon organization “founded to help America’s military make faster use of emerging technologies”. None of those involved disclosed the funding details at that time. Joby Aviation received $970,000 from the DIUx in January last year. Kitty Hawk received $1m a few months later. However, neither company is having issues with funding; Larry Page is bankrolling Kitty Hawk, and Joby closed a $100m investment round in February this year with a number of venture capital companies. “Although neither vehicle can automatically sense and avoid birds or other aircraft, both are programmed to return safely back to base if their remote control systems fail. Joby’s S4 also has a full-aircraft parachute in case it suffers “a catastrophic failure”. Why it’s important: A large amount of government interest is involved with two of the industry’s largest players. While there are statements that no weapons will be added to the aircraft at this time, future developments must eventually start to shift toward military applications for these planned small personal aerial vehicles.